Climate change isn’t just a problem for rare species. This threat, coupled with habitat loss and other environmental threats, is putting a number of common species at risk. By focusing on landscape-scale, or large scale, efforts, conservationists aim to thwart further decline of most species, common and rare. At the crack of dawn on an early winter morning, Double G’s restaurant in Paducah, Texas, would typically be bustling with hunters loading up on sausage, eggs and black coffee before they head out into the grasslands with their shotguns and pointing dogs. Some come to hunt deer, turkey and wild hogs. But most of them come to hunt the northern bobwhite quail. Smaller than a game hen, the dappled reddish-brown bird is as integral to the Lone Star State’s culture and economy as rodeos and oil rigs. These days are far from typical, however. Wally Galyean, owner of Double G’s, the town’s only full-service restaurant, has been serving fewer and fewer hunters — traditionally the bulk of his clientele — in recent years. That’s because of a range-wide die-off that has finally claimed bobwhite in one of their last strongholds, the Rolling Plains of Texas and Oklahoma. “The only thing growing around here is the cemetery,” Galyean grumbles over the phone from his home near Paducah. He may have to shutter his restaurant within a couple years. “Quietly declining species tell you much more about the health of an environment than do the ones that are down to a critical number.”The northern bobwhite populations have plunged more than 80 percent since 1967 across their 30-plus state historical range, according to the Audubon Society. One of the 22 subspecies of the northern bobwhite (masked bobwhite) is near extinction, and many populations of bobwhites in the eastern United States already are recreationally extinct, meaning they no longer support hunting. The bobwhite (Colinus virginianus) is among more than two dozen birds that the State of the Birds 2014 report, which was released in September by leading bird conservation groups and government agencies, identifies as “common birds in steep decline.” That means that they are showing early warning signals of distress, having recently lost more than half their global headcount, according to John Fitzpatrick, executive director of the Cornell Lab of Ornithology. Populations of many species, including those of bobwhites, have always fluctuated — thriving when climate and habitat conditions are ideal, and crashing when something tips the ecological balance. But the amplitude of those gyrations has become much more dramatic, largely due to anthropogenic climate change. Precisely what’s taking down the northern bobwhite — named for the male’s distinctive “bob-bob-white” call — remains a mystery. The largest known threats to the bobwhites are habitat loss and fragmentation, energy development, conversion of grassland to cotton and other cash crops, and overgrazing. These species are more susceptible to an acute blow — whether from a parasite, a viral disease or an insecticide — because their populations are already buffeted by a noxious mix of chronic interacting and overlapping stressors. Read more: Restored wetlands welcome wildlife and protect against future floods in San Francisco Bay Area. Several toxicology studies underway in Texas implicate blood-sucking nematodes as one specific culprit in the decline. Another suspect is aflotoxin, a fungi poison common on corn kernels, which hunters sprinkle in fields to lure white-tailed deer and bobwhite quail. “People want to find a smoking gun, single things that are causing the perceived problem,” says Markus Peterson, a veterinarian and wildlife ecologist at Texas A&M who has studied northern bobwhites and other fowl for decades. But many scientists suspect the whodunit story is much more complex. Conservation efforts historically have prioritized rare and endangered species. No wonder. Who wants polar bears, jaguars, rhinos and giant Sequoias to vanish from the earth? In the U.S., this approach has also dominated conservation efforts, especially since the Endangered Species Act was signed into law in 1973. But a growing cohort of scientists and conservation organizations are reevaluating conservation priorities, arguing that the decline of common species warrants more attention, largely due to the important role common species play in maintaining a healthy structure of communities and ecosystems. “Quietly declining species tell you much more about the health of an environment than do the ones that are down to a critical number,” says M. Sanjayan, senior scientist and executive vice president at Conservation International. Kevin Gaston and Richard Fuller, conservation biologists at University of Sheffield in the U.K., argued in a 2007 paper that common species are ecologically important due largely to the fact that they are common. Because these species are typically widespread even small declines can remove enough individuals to have a big impact across large geographical areas, the authors suggest in the paper, titled “Commonness, population depletion and conservation biology,” in the journal Trends in Ecology & Evolution. The American chestnut, the Rocky Mountain grasshopper, the black-tailed prairie dog, the bison and the passenger pigeon — whose last survivor died one century ago — show how historical depletion of common species can have “profound consequences,” according to Gaston and Fuller. Quails, like many birds, serve important roles in the ecosystem — they eat bugs and seeds, while serving as prey for raptors and other predators. They are also important indicators of the health of the broader ecosystem, whether it be rangeland or a forest. Their well-being is often closely tied to that of other species. 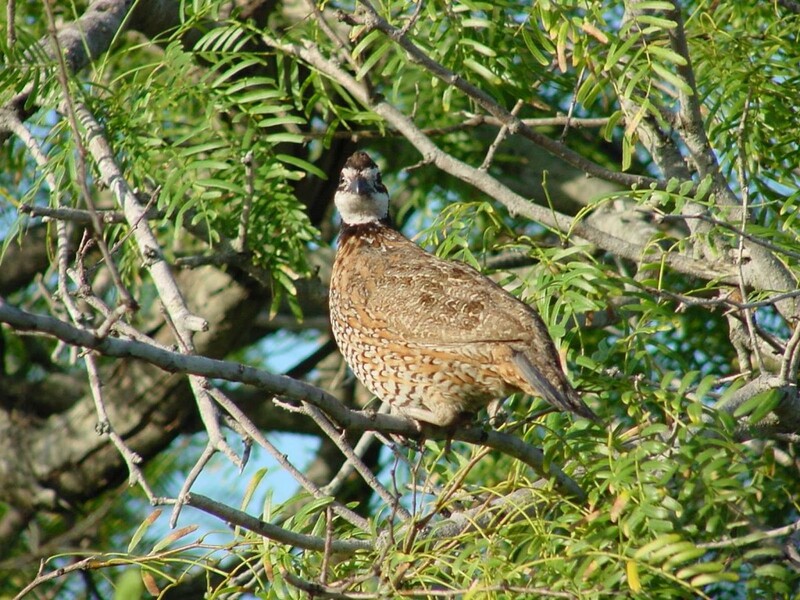 For instance, bobwhite quail depend on forbs and legumes, or weedy vegetation, for food and shelter. These native plants have flowers that produce nectar. The nectar attracts pollinating insects, including bees, wasps, butterflies and moths. When native plants disappear from a landscape, pollinators and quail both suffer. Just as depletion of species can have profound ecological consequences, abundance of biodiversity can help ensure the healthy structure ecosystems. As a result, an increasing number of conservationists are advancing that notion by targeting landscapes rather than — or at least in addition to — individual species. This large-scale approach is gaining traction, largely due to the difficulty of pinpointing the biggest causes of species decline, and to the integral role common species play in ecosystems. Several landscape-scale strategies are being applied to conserving species as well as biodiversity more broadly. Ten years ago a small group of state biologists launched the National Bobwhite Conservation Initiative (NBCI), a range-wide strategic plan involving state wildlife agencies, conservation groups and university research centers, aiming to restore native grassland habitats and huntable populations of wild quail. It includes a national online database detailing the feasibility of restoring the habitat of 600 million acres range-wide. In 2011 NBCI introduced a fine-resolution mapping system to help the growing cadre of state wildlife biologists identify and carry out conservation projects in areas that promise to offer the greatest return on investment. In semi-arid Texas, for instance, Perez and other state biologists are two years into a habitat-restoration project that targets private landowners who have bought ranchland in recent years to run as game-hunting operations. Perez says these types of landowners are more motivated to return swaths of their land to native grasses, such as little blue stem and switchgrass, that favor bobwhites. The landowners also are willing to kill Bermuda grass, which fattens cows but doesn’t provide tasty seeds or cover for quail coveys. While Perez is hopeful that the project will invite more quail to breed in the region, it is too early to know for sure. These conservation efforts often benefit other species as well, including the lesser prairie chicken, the sage grouse, as well as pollinators, says Dailey, who also is assistant director and science coordinator at NBCI. For instance, when farmers take 30 to 90 feet of land out of production at the borders of their corn and soybean fields, wild grasses and other wildlife-friendly plants grow. In their efforts to conservation specific species, scientists are also looking out for possible unintended consequences these projects can have on non-targeted species. This is the case with the iconic mule deer, whose herds have been declining across the Western U.S. 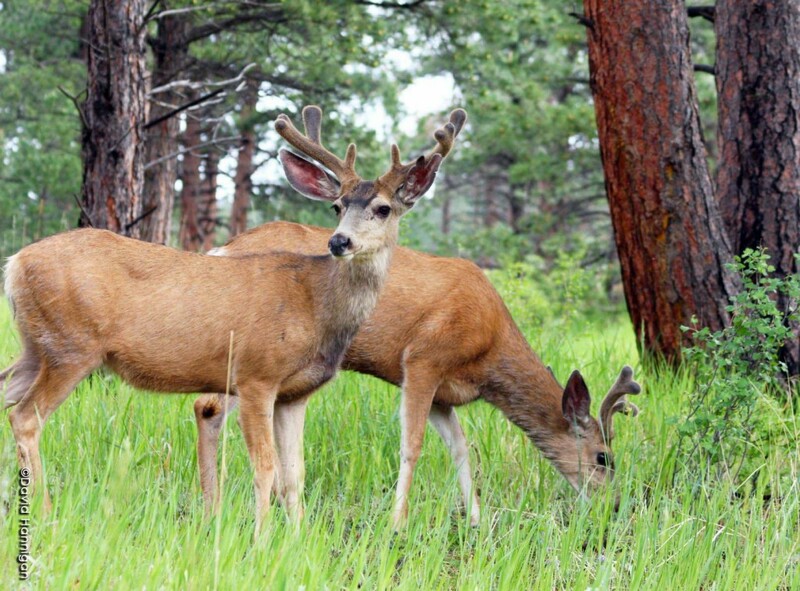 In Colorado severe winters, drought conditions, habitat loss and wildfires have conspired to drag the deer headcount down by 36 percent from 2005 to 2013. To prevent further declines, Colorado Parks & Wildlife (CPW) recently launched a landscape-based conservation initiative that is attempting to improve the health of whole ecosystems so that they can better support species such as mule deer and sage grouse. Some scientists at CPW and Colorado State University are also studying how these efforts to manipulate the habitat for mule deer — such as by thinning forests — are also causing certain song birds, such as mountain chickadees and white breasted nut hatches to leave the area. The landscape-scale effort that most directly targets common species is a nationwide, multi-institutional initiative called the Gap Analysis Program (GAP), coordinated by the U.S. Geological Survey. The program, which launched in the early 1990s, produces GIS maps of land cover, land vertebrate species, and other elements to identify those species and plant communities that are not adequately represented in existing conservation lands. In other words, the program tries to locate the “gaps” between what’s being conserved and what should be conserved. One outcome of GAP is the recently published State of Birds 2014 report. 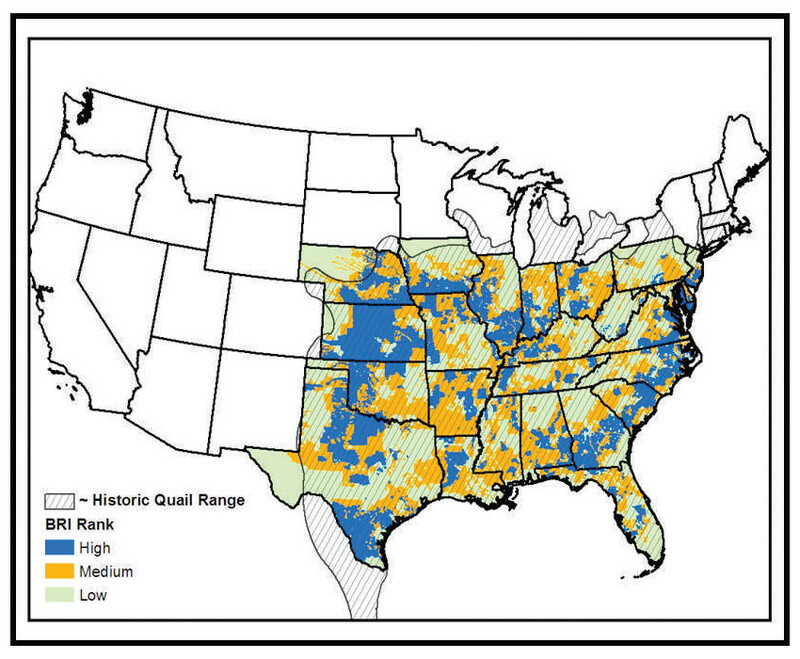 This assessment of the nation’s birds drew heavily from GAP’s maps that show who has stewardship responsibility of private and public lands (forests, riparian areas, arid lands, etc.) and which species exist there, says Jocelyn Aycrigg, a report co-author and a conservation biologist at the University of Idaho who works with GAP. This knowledge can help inform different agencies and organizations about how they can work together to better conserve species and their habitats, she says. Conservation biologists are also using GAP’s data to identify and target landscapes that are best suited for conservation efforts as the climate warms. In 1988 Malcolm Hunter, a wildlife ecologist at the University of Maine, introduced the concept “conserving the stage,” a focus on the “stages,” or arenas, of evolution and biological diversity rather than specific “actors,” or species, that inhabit them. 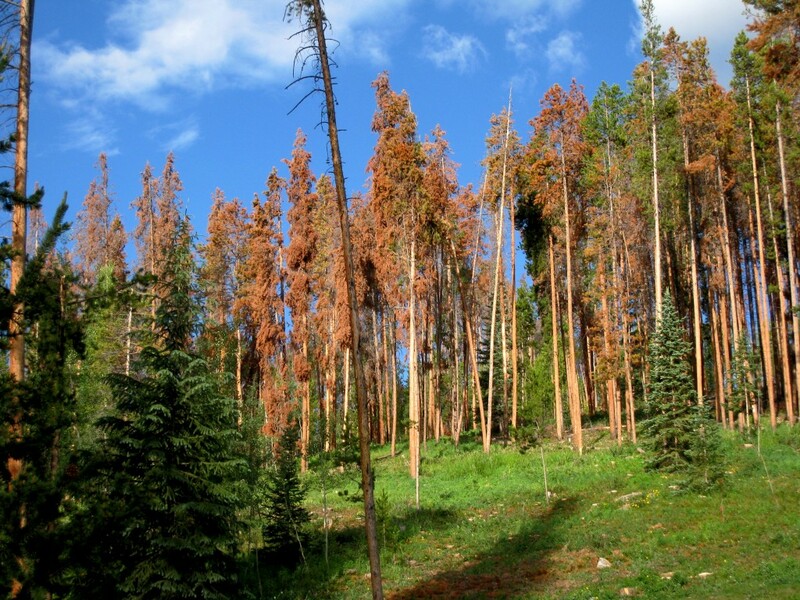 In recent years other scientists — particularly Paul Beier and Brian Brost of Northern Arizona University, and separately Mark Anderson and Charles Ferree of The Nature Conservancy — have picked up and advanced the idea through the filter of climate change. They and others are attempting to identify and set aside diverse landscapes — those with varied geology and elevation — to provide animals and plants with enough choices to buffer themselves against a changing climate. Even though the “conserving the stage” approach does not explicitly stem from a plan to save common species in decline — or any particular species, for that matter — it could have the same effect, according to Beier. “This coarse-filter approach in fact would probably work best for common species, whereas it’s probably worse for highly specialized species that occur only in one place, such as polar bears, pikas or wolverines,” says Beier. “It’s really about having a lot of options,” adds Anderson, who directs conservation science for The Nature Conservancy’s Eastern United States division. “We don’t know for sure how they’ll work or exactly how things will rearrange themselves. But if you have more options, as a plant or animal, you’re more likely to survive.” That’s not to say that this approach will offer a lifeline for all species. In fact, Anderson cautions, “it doesn’t guarantee, for instance, that the New England cottontail you love will make it through climate change.” In some cases nothing short of a targeted, fine-filter approach will save a particularly threatened species. The Conservancy recently finished two large projects aimed at identifying places that exemplify the various “stages” and that have features that make them more resilient to climate change. Anderson and his team analyzed nearly 400 million acres of land — stretching from Florida to Maine and adjacent parts of Canada — for resilience. 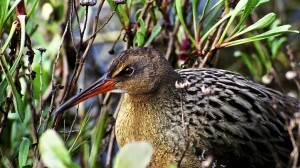 It’s way too soon to measure how the landscape-based approach will translate for individual plant and animal species, including common ones in decline, Anderson acknowledges, but it clearly intends to preserve as much biodiversity as possible in a dynamic world, especially before species start down the path toward extinction. Nationwide, conservationists and the Northern Bobwhite Conservation Initiative are trying to preserve most of this bird’s populations before it’s too late. Perez of Texas Parks & Wildlife has been tracking and counting bobwhites for many years, chronicling their long-term decline as closely as anyone. From recent counts this year he is relieved to discover that quail numbers have risen after setting new record lows in recent years, thanks largely to rain that quenched a severe multi-year drought. The uptick makes him all the more willing to take his English setter and his 15-year-old daughter, Lily, out quail hunting in mid-October just before the official season opens, but not hopeful enough to predict a long-term recovery. “The concern is that the climate is changing or will change in the future, so we won’t get what’ll be needed for birds to have boom years,” says Perez. But even if we can’t control Mother Nature, he adds, we can, for example, restore native grasses so that lands are more resilient for wildlife. This story was originally published on Beacon Reader on Sept. 24 as part of the Bracing For Impact reporting project. Susan Moran is a freelance journalist who co-hosts “How On Earth,” a weekly science show on KGNU community radio in Colorado. She has written for publications such as the New York Times, The Economist, Popular Science, Discover and Nature on science, nature, energy, health and business. She spent 10 months as a Knight Science Journalism Fellow at MIT.